On 24th January 2017, ESN and Pernod Ricard signed a partnership agreement to renew the two organisations' collaboration for the 7th consecutive year. Organised in the framework of the 30th anniversary of Erasmus+, the official contract renewal ceremony was held at Sofitel Brussels and preceded by a lively debate hosted by EurActiv. The debate, on the theme of a responsible lifestyle for European students, was graced by the presence of Ms Martine Reicherts, Director-General for Education and Culture of the European Commission, who delivered the opening speech. The debate also featured Mr Xavier Prats-Monne, Director-General for Health and Food Safety; Ms Martina Dlabajovà MEP; Alexandre Ricard, Chairman and CEO of Pernod Ricard; and Safi Sabuni, President of the Erasmus Student Network as panellists. A stimulating discussion ensued, with the audience engaging in a lively debate with the panellists. Topics such as cultural differences in alcohol consumption patterns across Europe saw much contribution from the audience, while questions related to alcohol and marketing stirred the audience considerably. Despite the sometimes challenging nature of the debate, the atmosphere was overwhelmingly positive, with several audience members contributing with their tips on responsible alcohol consumption for youth. ESN representatives from 30 countries also shared their experiences with Erasmus students in encouraging responsible drinking. Online, participants interacted with each other on Twitter, seeking to capture the atmosphere of the debate and share their advice. The event was partially streamed on the Erasmus Student Network's Facebook page, to a live online audience of over 1,700. At the closure of the debate, Safi Sabuni and Alexandre Ricard took the stage for the official contract renewal ceremony, putting pen to paper on a partnership initially established in 2010. Over the years, the partnership has grown from strength to strength. Since 2010, the program has organised close to 500 “responsible parties” in 32 countries across Europe and raised awareness about the need for convivial and responsible consumption of alcoholic drinks amongst 330,000 students. Alex Ricard "I look forward to another year of our successful partnership with @ESN_Int. 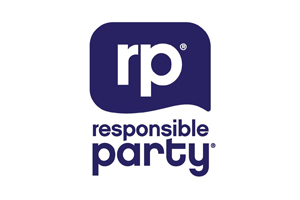 Thank you for being committed to #ResponsibleParty"
In 2016, the 2nd annual Responsible Party Questionnaire yielded over 30,000 responses, a significant improvement compared to the previous years. Preliminary results demonstrate the success of the project - 85% of student respondents view the program positively and 92% of them find the tips they are given very useful.